New Origins Planscription in February 2011. Serums are trendy in the Estée Lauder group. 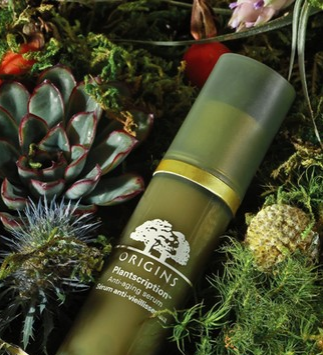 The Estée Lauder group wants to keep its leading position in the skincare serum market : after the renovation of its star product Estée Lauder Advance Night Repair, and the launch of Clinique Repairwear Laser Focus, a new serum will be launched in February 2011 under the Origins brand : Plantscription Serum. According to WWD, “Plantscription Anti-aging serum claims to yield skin care benefits comparable to prescription retinoic acid treatments”. Just like Laser Focus vs laser treatment, Plantscription concept is to be as efficient as a “medical” treatment, just with a bottle. The product has been tested in a 20-week study vs a retinoic acid formula and proved to have 88% of visible wrinkle reducing power of the retinoic acid formula, without the usual side effects of retinoic acid. Once again, we are here in the same kind of claims as in Clinique Repairwear Laser Focus, where the efficacy results of a cosmetic formulation are numerically compared with a dermatological treatment. In the case of Clinique Repairwear Laser Focus, the efficacy of the formula was 63% of the one obtained with a laser treatment after 12 weeks. The trick to reach these claims is the time during which the formulas are tested. To support efficacy claims in cosmetic, formulas are usually tested for 4 weeks. 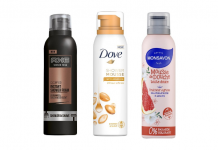 The Lauder group, through its Clinique and Origins brands, is currently lengthening the duration of the tests on its formulas, to reach higher efficiency results, and thus to be able to claim higher figures than competitors. The star ingredient of the product will be an extract of bark and leaves of African Anogeissus, a tree growing in Ghana. This ingredient is claimed to stimulate the natural production of fibrillin. According to the article cited above from Cosmetic World publication, Lauder collaborated on this active with the Dr. Annelise Lobstein, Professor of Pharmacognosy at the University of Strasbourg, France. She directed a thesis on Anogeissus Leiocarpa, in which several molecules where identified. Appart from Anogeissus, the formula will contain Siegesbeckia, Rosemary Extract, Peptides and Vitamin C. Siegesbeckia is already present in Clinique Laser Focus. Plantscription is available on Origins website.